Millennium Seoul Hilton has prepared everything needed for the special day, from dinner to gifts. 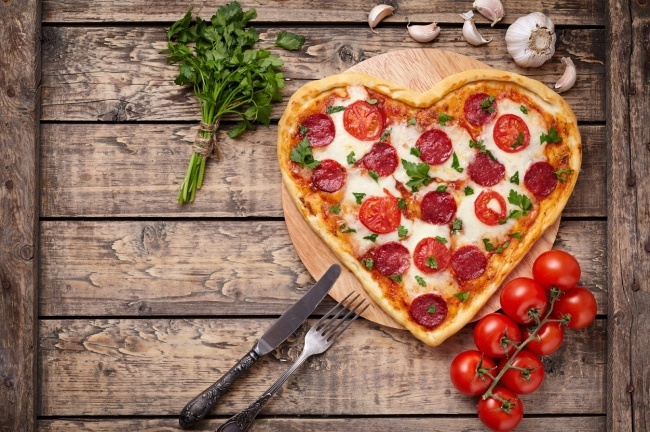 Gourmet six-course dinner can be met at the hotel’s Italian trattoria, Il Ponte. The set menu consists of carpaccio, pasta, entree and dessert, a gratifying combination. The course costs 110,000 won and requires a minimum order for two. The hotel’s Cilantro Deli, located on the first floor, offers the classic but romantic gifts for lovers, including premium chocolate, cakes and wines. Gift selections are priced between 20,000 won and 220,000 won. For reservations or inquiries, contact Il Ponte at (02) 317-3270 or Cilantro Deli at (02) 317-3064. For couples who are tired of battling the cold weather, Grand Hyatt Seoul‘s The Spa has prepared a special treatment named Ophelia Sweet Journey. The anti-aging facial treatment is a 60-minute course, and if a back massage is included, it will take approximately 90-minute. After a sufficient relaxation, non-alcoholic cocktails are to be prepared for the guests. The spa will be available until the end of May. The 60-minute course and the 90-minute course cost respectively 150,000 won and 190,000 won. For inquires, call (02) 799-8808. The hotel’s chief sommelier Jeong Ha-bong, who have selected the wines, said “Diners can experience an amazing marriage through the wine dinner, tasting the Spanish wine grape breed Tempranillo.” The wine dinner costs 150,000 won, per person. For more information, call BLT Stake at (02) 2276-3330. Family guests can offer their children a magical night through the ”Let’s Play Miffy“ package at Sheraton Seoul D Cube City Hotel. 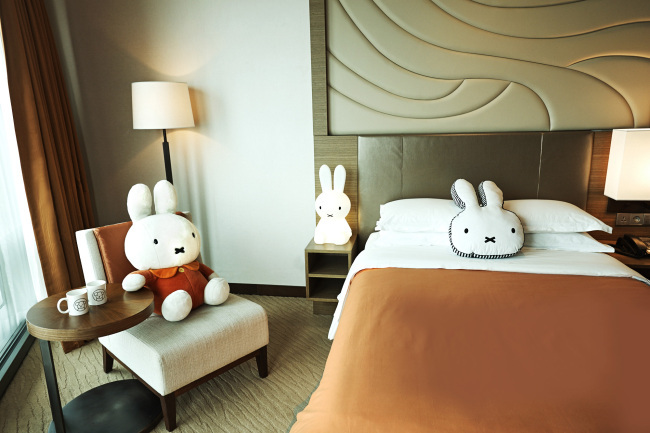 The rooms reserved through the package are decorated with products related to the globally famous rabbit character Miffy. Guests can enjoy a lavish breakfast at the hotel’s restaurant and are also granted free access to the swimming pool. The package is available until the end of April, costing from 250,000 won. For reservations, call (02) 2211-2100. 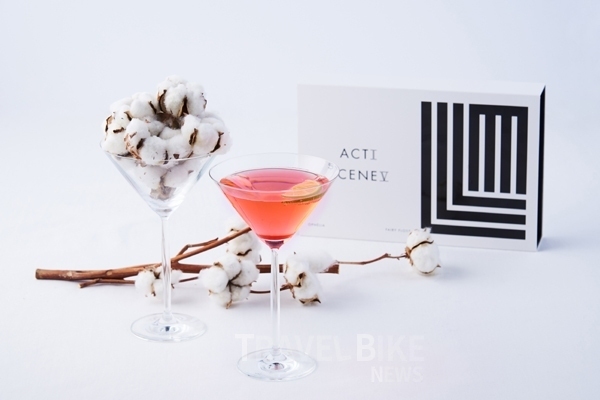 Courtyard Marriott Seoul Times Square Hotel has collaborated with perfume house Scentlier so that customers can remember the experience of a strawberry buffet with a special scent. Those who dine at “My Sweet Strawberry Buffet” at Momo Cafe in February will receive Scentlier’s Red Sancheong perfume or perfumed sachet. 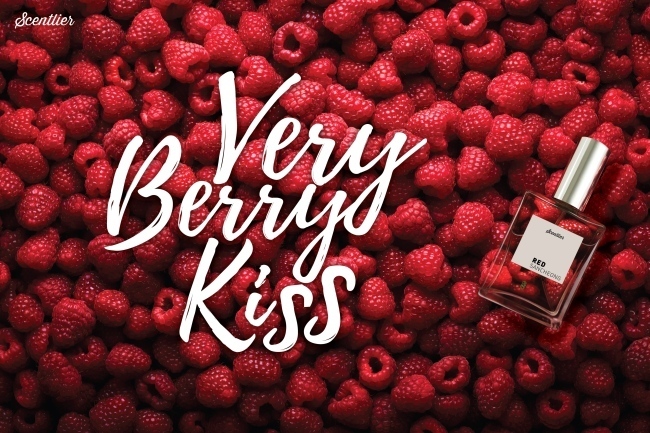 The fragrance note is a mix of wild berries with a hint of camellia. More than 20 varieties of desserts using strawberry as the main ingredient are prepared. An unlimited flow of Henkell Rose NV sparkling wine is offered as well. The sweet buffet can be enjoyed each weekend from 3 p.m. to 5 p.m. for 39,000 won. For inquiries, call (02) 2638-3081.